Mark isn’t sure he believes in love, especially when he finds himself torn between two very different men: his reliable boyfriend, Craig, and his illicit lover and priest, Richard. Mark is a man who burns his candle at both ends. And he did so quite successfully for a while, until the two ends ultimately met and he got burnt in a most painful and consequential way. Mark is a man whose mind and body are divided between want and need. He is a man who had everything but ended up with nothing when the battle between pure lust and possible love made a casualty of his heart. Richard is a man of the cloth, married to his God and his vocation, but is physically compelled to carry on an illicit affair with Mark. Craig is the man who could have been everything to Mark, a partner in every way, if only Mark’s feelings for Craig could have outpaced his desire for Richard. When the three men come face to face to face with the truth, the decisions and aftermath of Mark’s duplicity leave him aimless and uncertain of where he will go from there. 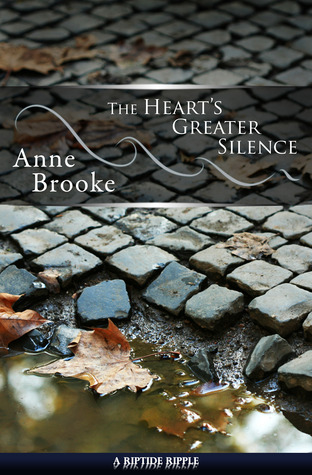 Anne Brooke has written a somber and beautiful story of a man who had everything and lost it all because he coveted two very different men. It is dark and solemn and resonates with a sense of conflict and despair that wove the ideal atmosphere. It was moving and played beautifully against the knowledge that sometimes free will and human nature simply don’t leave room for happy endings. This is the story of a man who was commanded by his desires and driven by a compulsion for one man who ruled his body and the other who fulfilled his need to belong to someone. When their worlds collided, the destruction of life as Mark knew it was profound. I’m hopeful the ending of this short story leaves room for more of Mark’s journey. Another story to look forward to! It’s Not An Interview With The Vampire. But It Is An Interview With Damian Serbu.